Overture born from the ashes of the Sons of the Rascals in January 2010. 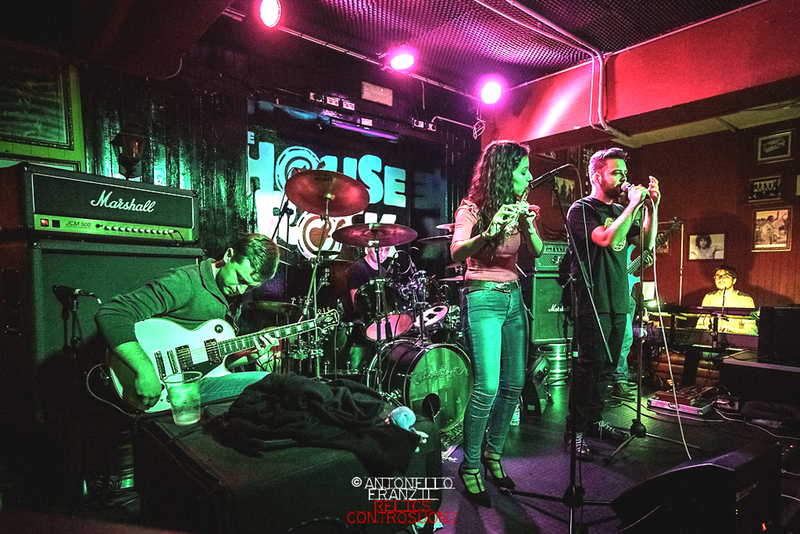 The founding members are Simone Desogus on drums, Samuele Desogus on guitar, Mattia Serra on keyboards and vocals, Salvatore Sassu flute and guitar, and Stefano Sanna on bass. Due to the different musical tastes of the singles, is the Progressive Rock the genre able to satisfy and characterize the group’s works. Then begin the work to give life to original pieces. Immediately there is a new formation with Fiorella Piras on flute, Salvatore Turtas on keyboards and Andrea Poddighe on vocals, and the name “Overture” is definitely adopted. In the winter of 2015, Salvatore decides to leave the group, replaced by a new keyboard player (Simone Meli) who immediately shows great passion for the genre and great professionalism. Even Andrea decides to leave the project and in May 2015, he is replaced in the role of singer, by Luigi Ventroni. The music of Overture is inspired by the masterpieces of 70s prog, but also incorporates influences of neo-prog and many other genres, due to the varied and heterogeneous background of the musicians involved. Born in 1985 in Sardinia, develops a passion for music since childhood, especially for ’60’s and’ ’70’s rock. Begins playing guitar but at age 20 he decides to switch to singing and plays in some local rock bands. In 2015 joins “Overture” band and contributes to making their debut album. Born in 1987 in Sardinia, begins to play keyboard at age of 6. From 13 he begins to play in some musical bands and in 2014 graduates in electronic music. He studies music education and teaches music in elementary school. In 2014 joins “Overture”. Born in 1995 in Sardinia, begins to study piano but a the age of 12 starts to play and study electric and classical guitar. He’s one of the founders of “Overture” and mixed their first album. Born in Sardinia in 1988, plays electric bass from the age of 14. In 2015 he graduates in bass guitar and studies double bass. He’s one of “Overture” founders in 2010. Born in 1989 in Sardinia, she develops her passion for many types of music since her childhood, joining from age of 6 until 16 Alghero’s polyphonic choir. She studies bassoon and flute and joined “Overture” as flute player and singer in 2011.